By the time Alfred Frederick Heineken inherited the Heineken corporation in 1951, it had grown from a small, local Amsterdam brewery to a leading brand worldwide. On a visit to Curaçao, a Caribbean island belonging to the Netherlands Antilles, in 1957, Freddy Heineken saw first-hand evidence that the locals certainly enjoyed his product — hundreds of green glass bottles littered the beaches. Glass, while a valuable resource, was not so valuable that it was worth shipping the empties all the way back to Amsterdam, though the bottles sold domestically could be cleaned and re-filled up to 30 times. The litter was not helping the brand's image. While tourists were well catered for, and the local oil refinery brought further wealth to parts of Curaçao, society was split into different social groups, the discrepancies between which would eventually lead to protests and even riots. While the wealthy lived in beautiful houses, the poorer inhabitants — usually the local Afro-Caribbean population — had to make do with ramshackle huts piled up out of whatever could be scavenged, due to the island's lack of building materials. If they already had to use rubbish, Heineken reasoned, might they not use his rubbish, the material that he could not reasonably bring back home? And could he not find a way to make it more suitable for building houses? 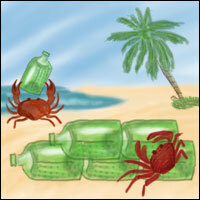 Of course, the idea of using bottles to build houses was nothing new. As early as the 3rd Century AD, the Romans were embedding empty amphorae in their concrete walls to make their buildings lighter and use less material. Later, glass bottles were ubiquitous, and, before the invention of a bottle deposit, free. They offer some degree of insulation and, if not embedded fully, let light through without the need for expensive windows. Building the first course of an outside wall out of bottles set upright even prevents scorpions from climbing into the house. 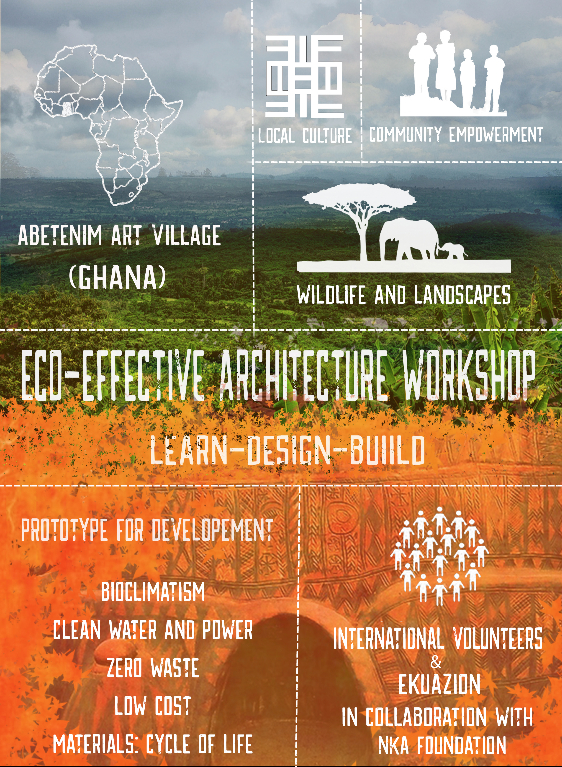 For many people, using discarded bottles to make houses was a simple economic necessity. Others, especially in the USA, were built as follies and roadside attractions, as advertisements for businesses, or simply for the pleasure of their often somewhat eccentric owners and inhabitants. Buddhist monks in Thailand have even constructed an entire temple from about one million brown and green beer bottles. Heineken decided that the way to solve these problems was to design a bottle whose primary purpose was to be a building material, but could hold his product until it got there - the World Bottle, abbreviated 'WOBO', which he described as 'a brick that holds beer'. The entrepreneur mentioned the idea during a business lunch with his lawyer, who said that he had a nephew who might be interested. The young architect John Habraken was hired to design the new bottle soon after. He experimented with various construction methods, hoping to find a product that would be easy to stack and not dependent on mortar — but still able to function well as a bottle. The first prototype to be presented was of a bottle to be stacked vertically, with a long neck and a bulbous body indented at both sides to hold the neck of the next bottle. It required little material — the thickest glass would be in the relatively fragile neck — and interlocked, so that little or no mortar would be required. The Heineken marketing department shot down the idea, however, deciding that the bottle didn't look 'butch' enough, more suitable for wine than for beer. Habraken tried again with a new design — thicker, nearly rectangular, and more like a regular brick, to be stacked horizontally. The neck was short, and fit into a depression in the bottom of the next bottle; the necks faced in different directions in alternating courses to create a bond. Two sides were covered in small bumps for better grip, but this bottle still required a thin layer of mortar, cement with a silicone additive. The empty bottles could be stuffed with insulating materials like styrofoam, wool, or plant matter where light wasn't required, and openings for regular windows and doors as well as corners could be made by combining the 500ml full brick bottles with the 350ml half bricks. In 1963, Heineken used his influence as an important client to persuade the factory that made the bottles for his brewery to interrupt their usual work. A small lot of about 60,000 bottle bricks was produced. Heineken used 1,000 of them to build a simple shed in his backyard — three metres square, one window, one door, and timber supports for the corrugated tin roof, because the bottle necks proved problematic in the junction between it and the wall. Dismantled after his death in 2002, it would remain the only WOBO house ever built, though some bricks were later used as siding for a garage and for a wall in the Heineken museum. Most of the bottles were simply lost, and are now valuable collectors' items. 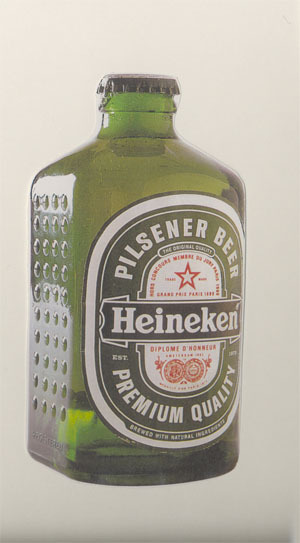 Unfortunately, this new bottle design also failed to convince the Heineken marketing advisors. They were afraid that WOBO might damage the Heineken image. Especially in America, Heineken was marketed as an upmarket product at the time. They didn’t think it was a good idea to associate it with rubbish and poor people. They thought that the only way to promote this would be to convince Marilyn Monroe to live in a WOBO-house. 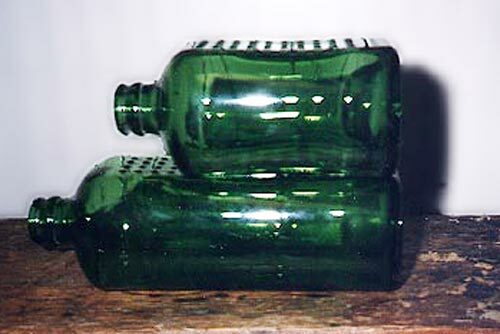 Besides the problem of the product's image, the special bottles would have been more expensive to make and transport than the regular ones, since they required more glass. The leftover beer bricks were put into storage, the production lines returned to normal, and the idea was all but forgotten. Despite today's environmental concerns and the growing realisation that we're facing a severe shortage of resources in the near future, mountains of packaging are still carted all over the world and then simply thrown away. The United States of America, which notoriously use the most resources per capita worldwide, produce over 200 million metric tonnes of waste per year. One third of that is discarded packaging. But it's not just bottles and tins that are a problem. Even large packaging materials like shipping containers suffer from re-using difficulties, since it costs 40% less to manufacture a new one in China than to send an empty one back from the US. Ideally, packaging that is no longer needed can be 'upcycled', a term coined by William McDonough and Michael Braungart in their 2002 design book Cradle to Cradle to mean directly turning discarded packaging into something new and even more useful with a minimum of processing. Though ultimately discarded, Heineken's idea seems more relevant than ever today. Perhaps it's time to recycle it. The group Instant Architekten, based in Berlin and Zürich, received the Red Dot Design Award in 2007 for the United Bottle. They propose a new shape for the 50 billion PET bottles currently circulating in Europe, about 90% of which are currently returned, thanks to the bottle deposit. Their design looks a bit unusual at first — a nearly rectangular bottle, ridged at the top and bottom — but its advantages are soon made clear. The ridges allow the bottles to interlock when stacked, which makes them easier to carry and means that more can fit on a standard pallet. With a smooth centre left free for a large label, they could easily replace the current round bottle design on supermarket shelves. Where it really comes into its own, however, is its secondary use: the United Bottle was created as a response to the dual problems faced in disaster-relief situations, drinking water distribution and emergency shelters. In the event of a crisis, bottles could immediately be taken to the areas where they are needed, either full or to be filled on-site — because the bottles are clear and not overly deep, they can be used for solar drinking water disinfection. They serve as water reservoirs, and, once emptied, can be filled with local materials like sand, earth, sawdust, wool, or feathers to build temporary houses to be roofed with tarps or UN tent blankets, or even more permanent structures. Publicado por ekuazion en 9:37:00 p. m.